You like negotiating dizzying platforms or rushing around at high speed while you are still in control. Your behaviour is focused on thrill seeking, excitement and risk taking. Your major brain region is the amygdala, which triggers the adrenal glands. Your chemical messenger is adrenaline (epinephrine), which enhances the effects of the reward chemical dopamine. If you were an animal, it would be an eagle. Favourite games of Daredevils surveyed so far include Ace Combat, Call of Duty, Grand Theft Auto, Mario, Mario Kart, and Shadow of the Colossus. Your BrainHex class is related to the Serious Fun Key (4 Fun Keys), Tactical play (Temperament theory) and Ilinx or vertigo (Roger Caillois), as well as possibly being related to Immersion-Escapism motivation (Yee). 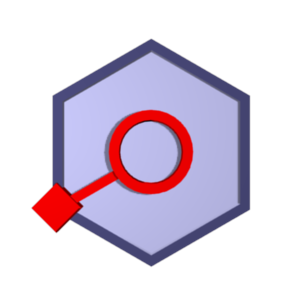 Your BrainHex Icon depicts the adrenal gland as a small diamond connected to the nucleus accumbens ("pleasure centre"), representing that excitement brings you pleasure. Doesn't sound to Daredevilish to me. I don't understand the Symbols. They are confusing. Why is the Achiever in the center? Why are the peripheral squares of different size? Are you suggesting some are more important than others? Settlers of Catan certainly isn't a traditional Daredevil game (more Mastermind), but Ico and Super Mario Bros. are (as would be any platform game). Your results came out Daredevil-Achiever, but you got high results in Seeker and Mastermind as well. I confess, your favourite games aren't classic Achiever-type games, but the thing with people who express Achiever is that this tends to drive them to be completest about the games they do choose... Platform games are generally good Daredevil/Seeker style games which fit well with your chosen favourites. Would I be right in saying you complete most of the games you attempt? (Most videogame players do not). Regarding the meaning of the symbols, did you read the article What does my BrainHex class mean?. The Achiever is in the centre because it represents direct stimulation of the nucleus accumbens (the pleasure centre) - *all* of the other patterns also trigger this part of the brain, which is why this is in the centre of the symbol; it is ubiquitous to enjoyment of play. Sorry you are disappointed in the test, but thanks for leaving a comment all the same. Music, background theme, ost; whatever you want to call it. I notice that most game developers tend to focus on graphics as their main selling point, and not so much on the audio part of a game. For excellent examples of good ambient background music, try these two games: "Stalker, Shadow of Chernobyl" and "Bioshock". For games that employ "epic" music (gregorian choir etc), try "Ace Combat 5" and "Shadow of the Colossus". All of these games have a soundtrack that beautifully matches the scenario in the game, making it not just enjoyable, but immersive for the player. Well...the vital part gaming is the gameplay, which is what this quiz focuses on. If music was your main motivating factor you could just eschew the whole "playing games" part and listen to a soundtrack. i love the premise of these tests, its like back in the day when i played halo 2 how people would try to determine their playing styles with questionnaires. its not always 100% correct for that to happen the person taking the test would have to be very single minded or a robot. anyway i enjoyed the test it does reflect an aspect of the games i play and id love to participate in more of these if it helps the psychological side of video game analysis and the players. this test is terribly inaccurate. Sue: you're right, of course, that aesthetic issues such as music (and indeed graphics) are an important part of people's enjoyment of videogames. However, as Paladuck says, this test isn't focussed on this part of the experience. We hope to investigate aesthetics at a future date. heh I got this as my first class, but i ranked the fast movement sorta thing on games more like mirror's edge than any of the examples they have here, not a HUGE fan of most of these games, and definitely not for the daredevil aspect. Your game recommendations are totally off. I do not enjoy FPS, as they bore me. That's right, flat out bore me. Either they're too easy or too hard, and by quite a bit. There's no sweet spot for their difficulty for me, I think. When they get too hard, at first I am determined to beat it (see: your theory) but quickly decide "not worth it." When I was younger, that may not have been the case, but it definitely is now. I think what I like the most in games is having a wide plethora of available options to use, and finding new and interesting ways to use them. Attack A and Attack B combine to form Attack C = WRONG. I mean stuff like "There is a group of bad guys. If you throw AoE attacks you could take out lots of little ones, but the big ones will become super-strong and make it worse. You're SUPPOSED to just deal with having lots of guys in the fight. But this ability here can throw the big guys away, so you can explode the little guys, then deal with the big guys separately." Or "this ability makes all bad guys forget I existed. This button makes a bad guy stop moving for 10 seconds. I will get a ton of bad guys to chase me around and then I will make one particular guy I want to beat up stop moving, then keep going, make everything forget about me, and then go back and grab that one guy I want to beat up." I think a lot of my gameplay behaviour was shaped by playing EverQuest when I was a mid-to-young teenager (I'd love to explain the class dynamics I had going on); and while I agree with your basic statement I disagree with the specifics you tried to infer. well, your test was really close, but when it started listing what kind of games i like, i find it really weird, because i was expecting more along the lines of Team fortress 2 and Guilty Gear, but i can sort of understand where it comes from as i used to like Call of duty 2. I really like that my Sub-class was Daredevil-Achiever, though, as it seems a little more correct if you add games like World of warcraft and Grand theft Auto together, and even though i don't play Mario Kart, it seems correct on terms of similarity to other games i enjoy (Forza2). good job guys. I found this class rather disappointing; it seems like it doesn't take into account the differences between a risky game act and a risky life act. Going super-duper fast in a race car may be adrenaline-pumping in real life, but not so much when you have nothing to lose. I was expecting to score rather high in this category as I tend to do risky things like run into a fray with just my starting pistol, or try to take on a quest/mob that's way too high level for me in an MMO...yet it was my second-lowest score. The questions I associated with daredevils ended up making conqueror my top class. The conqueror-mastermind I got is definitely the most accurate...in fact I'm actually on bupropion (a dopamine/norepinephrine inhibitor, correlating to the conqueror and mastermind chemical messengers) and it's the first anti-depressant I've taken that's had positive results. But I feel like this category isn't being accurately measured simply because what might be a daredevilish act outside just isn't one in a game. Of course I'd also say this class is the hardest to measure. I think the motivation for something is what makes the difference between a conqueror and a daredevil, with their outside appearance being nearly the same...they're generally seen as the guys that do crazy stuff. I can go gank someone in wow to see if I can take em (conqueror style) or just because I feel like some excitement (daredevil style). The challenge aspect is appealing to both classes (if it's not challenging then you can't really call it a daring act), but I think the conqueror is excited by the potential good outcome, while the daredevil is excited by the potential bad outcome. Pretty good other than the daredevil gripe, got me almost to a T.
I highly dislike this test as it is entirely directed towards what i would call the casual gamer (NOT what the industry calls a casual gamer). I play games as a sport, not as an interactive story (1 player RPGs and adventure games) or as a socializing interface (MMOs) or as a time waster (all but the most competitively deep FPSs, puzzle games and party games among others). Games I enjoy are competitive, fast paced, high motion multiplayer games. Usually 1v1 games. The types of games that can be played in tournaments. Games I have enjoyed are super street fighter 2 turbo, SSBM (not any of the other SSB games), and somewhat Starcraft. Gunz would be on the list too if it weren't for its flaws that remove depth and prevent it from being highly competitive (balance and lag). I got this as my main class because I chose all options that suggested fast paced, whether in motion or gameplay. My sub-class, conqueror fits more but still has a single player boss slaying aspect to it. Captain Colon: a lot of people seem to be having issues with the Daredevil class, so we may have some more work to do here. The case studies we follow up with should help shed some light on this. Thanks for your detailed comment! I think this test is quite accurate. I primarily enjoy thrill seeking experiences while being in control. I love pulling off a perfect run in a Sonic game, smoothly zooming around at high speeds. Also games like Mirrors Edge give a sense of satisfaction after successfully evading enemies through agility alone. This definitely reflects myself in real life, in which I am a traceur and love running fast, dodging, weaving and vaulting over obstacles. However the list of "favourite games of daredevils" doesn't fit my taste in games. I'm assuming tha the high scores in Congeror and Mstermind lifted my Daredevil ubove my Socialiser for the Primary.Secndary. I like to complete games but i'm always sad because that's the end and it's never the same second time around. Actually Left 4 Dead is a good example because I lost interest in that game, after really enjoying it, the moment teams began forming the tactics around the maps and the players stopped their occasional panics. I think allot of this data might have come out different if different words were used for certain questions.. Especially the ones dealing with the Dare-Devil. This is very much inline with how I approach fighting games. I rarely have a strategy or read the manual as I derive more fun from finding things out as I play, which means the tutorial mode present in most current games really detracts from my enjoyment. I think the distinction between Daredevil and Conqueror is that the Daredevil has more fun with the process of negotiating challenges, while the Conqueror cares more about the end result. I actually don't like platformers at all. My games of choice are fast-paced FPSes and Strategy games. I agree about Daredevils having fun with the process of negotiating challenges. As an example, when I'm playing a fighting game I'm having the most fun during a battle where I can't reliably predict whether or not I'll win, and while I prefer winning over losing it has little effect on how much fun I have. The test got me! Well done. I'm an odd duck when it comes to the thrill seeking portion, though. I tend to back off from action games because I react too strongly to them. Reaching the state where my reflexes are at their best also leaves me trembling, adrenaline ahoy? Simply because other people have been finding their results inaccurate, I'd like to say my result was very accurate (Conqueror-Daredevil). It's possible the people who got a result they couldn't relate to filled out the test "wrong": they chose answers that do not really describe their playing preferences, but rather what they expect to like. I spent a long time thinking I was an Extrovert, despite all evidence to the contrary, as I would always choose Extroverted answers on personality tests because the Introverted answers seemed "bad" somehow. It took me a while to realise what I was doing. Very accurate for me. I wrote down Sonic the Hedgehog as one of favourite games so it understood my love of speed and platforming. I would consider Tetris Attack to be a Dare Devil game, because of the blazing speed required to play the game.